MONKEYPOX: An emerging epidemic once again? 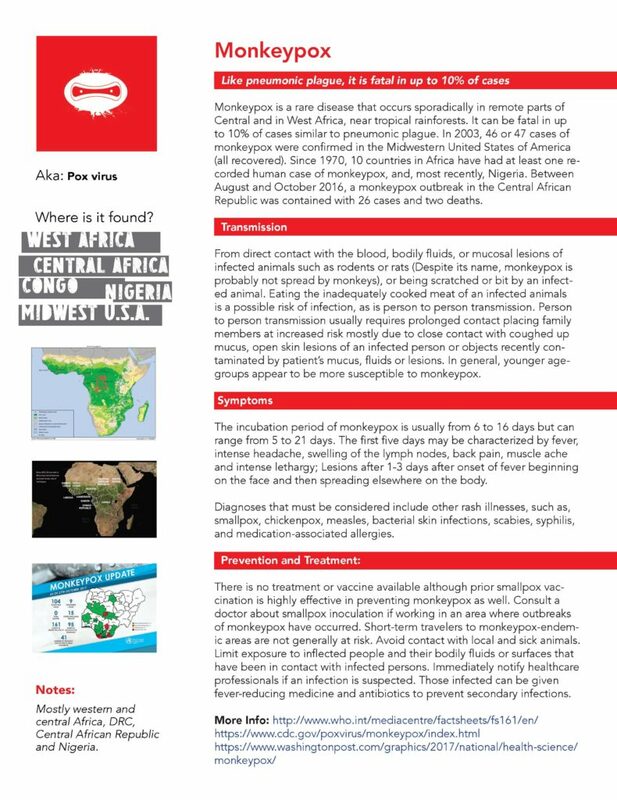 Monkeypox is a rare disease even in western and central Africa where it predominates however it is especially dangerous for children and has been known to be fatal in up to 10% of cases similar to pneumonic plague. New outbreaks of moneypox have occurred in Africa and doctors at the Center for Disease Control are seeking the source of the disease. (Often these diseases, like ebola, can “hide” for a number of years before popping back up again in new outbreaks in other areas). Since monkeypox does not yet have a cure (unlike smallpox which it is related to), experts recommend staying away from rodents and other animals that might carry the disease, as well as being cautious around sick and infected persons if traveling or moving to central or western Africa. If you are intending to travel to infected regions of Africa to work directly in patient care, talk to your doctor about possible smallpox inoculation which also seems to work for monkeypox, as well as practicing care around sputum or mucus/coughed-up phlegm. One good thing is that travelers to these outbreak areas are at a very low risk of possible infection. Other viruses and germs are a much greater risk and we recommend you download the free guide (if you haven’t already done so) as well as the Yellow Book offered free by the CDC. 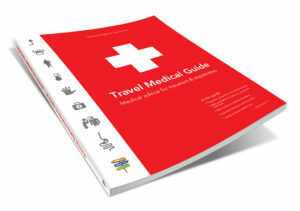 Consider also the excellent resources referred to at the back of the Travel Medical Guide for further information. And we always recommend good travel medical insurance (see our recommendation here) or international health insurance with emergency evacuation for those moving or living overseas, whether you are in a high-risk area or not. Because accidents happen (and no one can predict an emergency). Our travel experts can help you select the right plan, including plans with special rates for those volunteering abroad. A recent article by reporters at the Washington Post (highlighting the difficulty in researching the disease with the hopes of eradicating it) can be found at https://www.washingtonpost.com/graphics/2017/national/health-science/monkeypox/.